To verify that you are getting the right amount on each paycheck, most members (pedagogues & paraprofessionals) should look for the words “RECURRING GROSS” and multiply that number by 24 (the total number of pay periods each year). That number should equal the gross amount you expect based on your years of service (salary step) and approved differentials or college credits. Other titles such as nurses, therapists, education analysts and other H-bank titles are paid bi-weekly instead of semi-monthly, and receive 26 checks annually. They must take their recurring gross, divide by 14 and then multiply by 365 to get their gross annual salary, including their experience differential. That amount does not include their longevities or education differentials if applicable, which must be calculated separately. If you think your salary is incorrect, talk to your payroll secretary, then check with a salary rep in your UFT borough office. Voluntary UFT COPE Contribution: This is a contribution you volunteered to make to support the union’s lobbying and political action program. Pension Contributions: These contributions into your qualified pension plan are dependent on your date of membership in the Teachers Retirement System. Union Dues: This allocation funds union services. This code does not necessarily mean you are a union member. To ensure your membership, please make sure you fill out a membership card. Tax-deferred annuity: This is your contribution to the TRS Tax-Deferred This is your contribution to the TRS Tax-Deferred Annuity program. Only members who are enrolled in a pension program with the Teacher’s Retirement System may voluntarily participate in the Tax Deferred Annuity Program. Tax-deferred Annuity Goal: This is your annual TDA savings goal. Tax-deferred Annuity Balance: This is how much is left to save before you reach your annual TDA savings goal. Cumulative Absence Reserve (CAR): This shows how many days, hours and minutes you have available in your Cumulative Absence Reserve. Based on the amount of time worked, each employee earns sick leave that can be used as needed for days of illness. The sick time earned is accumulated in the teacher’s CAR bank. Health insurance: If you enrolled in a cost-free health plan, the stub will say, for example, HIP or GHI, with no amount. If you are paying for additional benefits, there would be a charge; for example, the stub might say GHI-CBP. Flexible Spending Account: These are pretax deductions for dependent care expenses and uncovered medical costs. Transit Benefit Program: Employees can enroll, update and cancel their participation through the DOE’s Payroll Employee Self-Service Application website. The pay stub code is COMM NO FEE. NYSUT insurance plans: You can opt to pay for certain benefits, such as insurance against catastrophic illness, through our state affiliate, New York State United Teachers. Any options you select from the NYSUT Member Benefits Trust will show up on the pay stub as “UFT insurance.” NYSUT Member Benefits (800) 626-8101. You can access your salary information, sick day balance and print your pay stubs by accessing a self-service employee system available through the internet. 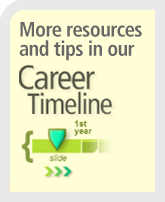 Log on to the payroll portal with your DOE email ID. Members must have their paychecks deposited directly into their personal savings or checking account through the department’s Electronic Fund Transfer Program. You can enroll online. Download the form and submit it directly to the department’s Payroll Division. The fax number is (718) 935- 3702. Delays in getting paid? Errors in the payment amount? 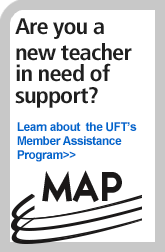 The UFT can help you cut through the red tape and resolve paycheck problems with the DOE. Please consult your chapter leader or a salary rep at your UFT borough office.